Injinji Ultra Compression Series is powered by Injinji’s 5 Toe Fit System offering the ultimate in restriction free, natural movement and foot protection in ANY shoe. The Injinji Ultra Compression toesock features a seamless, 200 needle count lightweight design to reduce recovery time and muscle fatigue. Whether on a training run or competing, the Ultra Compression has graduated compression starting at ankle continuing through the upper leg to aid in circulation and blood flow. The Nylon fibers make the Ultra Compression sock feel soft to touch, yet durable with breathable mesh on top of the foot and on the back of the leg. Sporting reflective strips for extra visibility, the Ultra Compression does not slip after long runs and wicks away moisture keeping your feet dry and protected - anywhere your shoes take you. 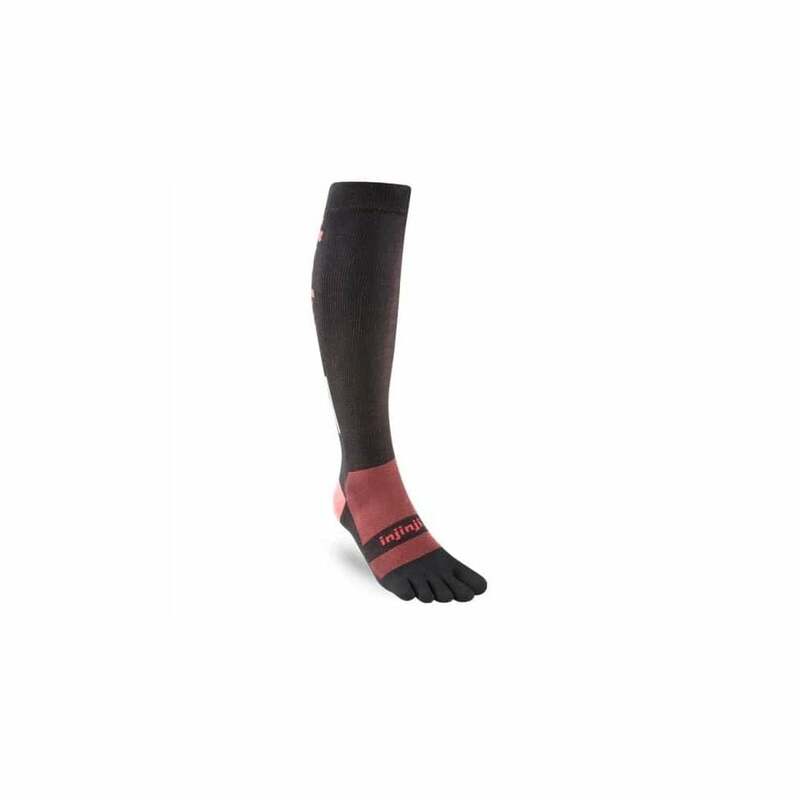 Injinji compression socks are a myRaceKit customer favourite, perfect for your adventures! if you want toe socks and compression look no further!